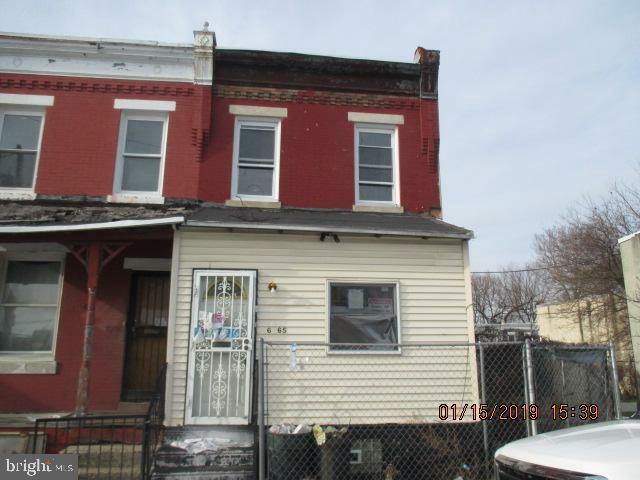 Spacious row home offering enclosed front porch, living room, dining room and kitchen leading to rear yard. Second floor offers three bedrooms and full bath. Close to public transportation, shopping, area restaurants and major highways. Easy showing with lock box. Corporate addendum must accompany all accepted offers. Owner makes no representations or warranties as to condition. Property to be sold in "as is" condition. Proof of funds are needed with all cash offers. Buyer responsible for the L and I certification from the city. Property will not be trashed out. Bring a flashlight. All offers must be submitted by the Buyers agent via the RES.NET Agent Portal. To submit your buyers offer, simply click the link below. If you already have a RES.NET Agent account, you will be prompted to log in. If not, you will be prompted to create an account.To begin, click or paste this link into your web browser: https://agent.res.net/Offers.aspx?-1536997 - We have multiple offers - highest and best due back by Wed. 2/6/2019 at noon.